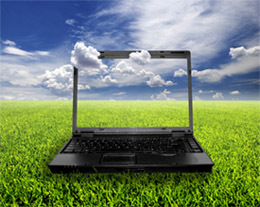 Compared to traditional solutions, Green Computing has a number of advantages. When thinking of it in terms of hardware use, reducing the number of unneccessary and other non-essential components not only saves on required space and costs associated with energy consumption, but reduced emissions lessen the burden on the environment. Green computing is important because it is helping to minimize the energy used in computing by educating consumers on efficient ways to keep power usage low, by creating more economic electronics, and by encouraging safe and complete recycling. Interested in Green Computing? Call 815-273-4859 to get started today! "The new computer runs great and very quiet, awesome!" © Copyright 2005. All Rights Reserved. Computer System Solutions Inc.